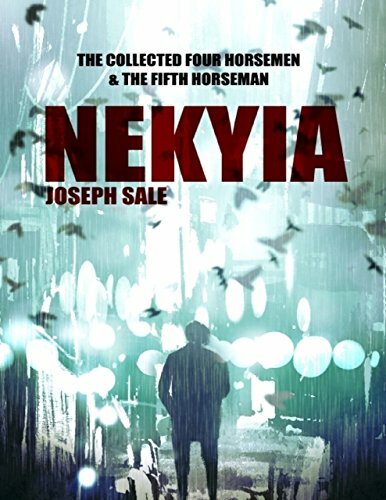 My latest book is NEKYIA, a 720 page horror multi-verse epic in the vein of King’s The Dark Tower or the early work of Lustbader. It’s a kind of modern re-telling of the four horsemen of the apocalypse, in five parts. NEKYIA is an ancient Greek word and means: “A rite by which the dead are summoned to be questioned about the future”. It’s full of psychopaths, dark fantasy, myth, and weird spiritual themes. I hope people dig it. Three is the magic number! For me, there are kind of three benchmarks actually. The Stand by Stephen King, first and foremost, has to be one of the greatest novels ever written. And as a horror novel, it’s sublime. The supernatural elements are carried across with such conviction and reality it’s enough to make the staunchest disbeliever consider the possibility of dark forces in this world. And that ending with the Trashcan Man. That made every hair on my arm stand up on end. Still does just thinking about it. Then, there’s also The Damnation Game by Clive Barker. That is one of the most astonishingly beautiful and terrifying novels I’ve ever read. Barker’s prose style is pretty mind blowing and he uses it to conjure some of the most horrifying, and touching, scenes in fiction I’ve read. There’s one scene in particular in The Damnation Game which is unseeable. Just mind-breakingly awful and disturbed. I can’t believe he wrote it. And not only that, but you don’t see it coming. Incredible stuff. Third is probably The Mind is a Razorblade by Max Booth III. I keep coming back to this novel in my mind. I think it’s so interesting because it’s really funny – Max has an incredible wit – and you’re chuckling and laughing, but then he just knocks your feet out from under you with something truly weird and unnerving. That’s an awesome skill, to move between those two states, and to play with them in that way. It’s a really special novel. It deserves more attention. I jumped in at the deep end with the classics, and though I actually think there’s something to be said for that, it might be a bit much for newbies. Richard Thomas’ Disintegration is a great way to start. It’s not strictly horror, more neo-noir, but the horror elements are carried off so, so well, the characters and setting so real, and the ending – boy, that’s a humdinger. I think Disintegration is an awesome way to get into the groove without having to jump into something petrifying. Dracula is a difficult read because of the epistolary style and the way it jumps perspective. It’s also quite long. But, I think it is pretty much essential reading for any horror fan. Bram Stoker’s prose style is mesmeric. The first ten chapters of Dracula are some of the most intense and nailbiting of anything I’ve ever read. And though people love to do it down, there are at least four or five segments in Dracula which are still, to this day, some of the most profoundly disturbing, gripping, gothic scenes ever written. Last book would have to be a Stephen King. Probably something like Cujo. I loved that book, and it has probably one of the scariest scenes I’ve ever read in it. It’s short, however, so you don’t have the commitment of something like The Stand which is about 1800 pages long. Well, I think King is the King of horror fiction, for sure. I mean, I’m not sure there is anyone else out there with his ability to terrify. Making people scared through writing – when we’re up against the big screen and video-games – is tough. Most people go for more of a disturbing or gory or intense aesthetic. Actually trying to scare people is really not easy. King, however, makes it look effortless. You transition from a totally harmless scene – some guy fixing his car – into something utterly inexplicable and terrifying. It’s really hypnotic. I would say there are contenders for the throne – princes of horror if you will – and they are slowly working towards King, assailing his position! For me, these include Clive Barker, Richard Thomas, and King’s own son Joe Hill. Regards the Queen of horror, that’s tougher! I have a real soft spot for the classics and I grew up reading Frankenstein. I love it, and think Shelley had such power. Some of the scenes in that book will stay with me forever. But there are also so many amazing female writers today, especially in the horror genre. Christa Wojciechowski is one. Her Sick series is bone-chilling because it’s most disturbing elements are just so believable. Then there’s Eden Royce, who writes Southern Gothic. Her collection Spook Lights really got me. There’s some deep stuff in there. Veronica Magenta Nero is another incredible writer and some of her stuff is just mind-blowingly gripping. She has a story Nemesis on her website which is very reminiscent of Barker – but with a kind of psychological bent to it. Moira Katson is amazing too. Though she veers more towards fantasy/sci-fi, there are some real horror moments she captures so expertly, especially in her book Remnants. A newer writer is Tice Cin. 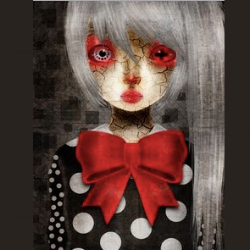 She writes a wide range and has a very literary style, but she’s done some amazing horror work. Her story Mind was actually published on my website earlier this year and her story Under Soil is being published in Dead Voices, the first issue of 13Dark. 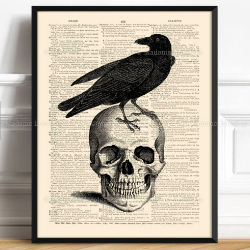 Any one of these incredible writers could be the Queen of horror fiction! True Detective season one for sure. That series was unbelievable in its power, its characterisation, its dialogue. The way it used the Robert W. Chambers elements The King in Yellow was ingenious. And then the catharsis at the end, that was some of the best TV I’ve seen in a long time. Of course, every new series coming along ups its game! The Hodor scene in Game of Thrones season six reduced me to rubble, I couldn’t function for days. But True Detective was something special. I’m not sure it can ever be re-created. And the atmosphere of dread they suspended throughout the eight episodes was incredible. I genuinely felt sick at times. I incorporate a lot of different genres into my writing. I always have done and still do. I grew up on fantasy novels and there is something about an alternative world that still speaks to me and draws me. However, there is almost always a horror dimension to what I write, whether it’s the main focus or more of a supporting character. I think horror is an incredible genre because it specifically relates to a sensation, a mood you wish to evoke in the reader, and it’s also a genre where you can take your gloves off. There are no rules to what you can and can’t write with horror. Writers like George R. R. Martin have benefited greatly, I think, from studying horror writing as well as other epic fantasy masters and medieval writers. Think about the Red Wedding – that’s surely one of the all time greatest horror scenes of all time? My first professionally published novel was with Dark Hall Press. I’d written this book called The Darkest Touch that was about dark forces taking over New York city after a nuclear event that’d left the world in tatters. 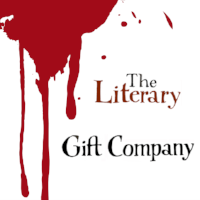 A group of 13 ‘apostles’ follow the will of The Prince, a dark one-eyed megalomaniac bent on destroying anyone else born with ‘the Touch’, aka a supernatural gift, lest they threaten his reign. I’d sent it a bunch of places and got rejections from all of them. I was on the verge of giving up when I discovered Dark Hall listed on a website as open to submissions. I checked them out and liked the look of their back catalogue, I even picked up their best-seller Exoskeleton, which was a masterpiece of introspective narrative. Liking what I saw and read, I sent off my novel. I received an automatic response that told me if I didn’t hear back in three weeks, it was a ‘no’. On day 21, I got a letter of acceptance. I could not believe it. I still can’t. It was the unbelievable thing that I’d managed to find a home for my book with these complete strangers! Complete strangers liked my work! From then on, the publishing process was pretty quick. The novel came out in 2014. Since then, my confidence in my writing has increased. Though of course, I still have major doubts every once in a while. I guess they are healthy because they force you to re-assess where you are and what you’re doing. Publishing is not the end of the road though, it’s the start. One contract does not change your life except in very exceptional circumstances. It’s the first brick of the building you’re trying to construct. They’re wonderful. While it’s always possible to wish there were more of them (haha) I wouldn’t change it for the world really. There’s a core group of fans who are just unbelievable. They read everything I write basically – purchase every book, even re-releases. I feel really guilty and sometimes send out personal messages to them saying they don’t have to buy the book, it’s just a second edition with a better introduction or one or two extra stories. But they always do. I sometimes get lovely pictures from them showing off their collection of my books. It’s just the most mind-blowing and humbling experience. I’m so, so grateful. Absolutely. I think TV is helping with this, shows like True Detective, Game of Thrones, Twin Peaks, they are all bringing the horror and bringing it loud. Then there’s the resurgence of the horror film industry, particularly recently with the It remake and then King’s book Gerald’s Game being made into a Netflix series. I think people are hungry for horror again – maybe it’s because it reflects the times we live in? People want something real. Of course, sometimes the opposite can be true, and people want a Jane Austen-esque escape into a more pleasant world. But I think the only way we get real catharsis and healing is from confronting the fears, the horrors, the doubts head on – and horror fiction is a great way to do that. There are so many talented horror authors around writing amazing books. Not all of them are getting the credit and support they deserve, but certainly, if people are willing to go a little off the beaten track, it’s all there waiting, this wealth of literature and movies and art. The number one rule in horror is don’t tell your reader what to feel. A lot of writers starting out tend to use phrases like ‘eerie woods’ or ‘creepy house’. Don’t tell your reader the woods are ‘eerie’, make them feel it through description, mystery, disturbing imagery. The only time you can use a word like ‘eerie’ is if you’re using free indirect discourse, i.e. you’re reflecting the thoughts and dialogue of the character in the narrative style. Another tip is: make sure you give your characters time to interact in situations which are not emergency. Give them time to pause and stop, chat, think, reflect, be. We need to get to know them. If your characters just run around screaming all the time, we can’t relate to them as people. Final tip! No one ever reacts as extremely as you think. Temper your urge to make characters scream, or tear their hair out, or have a breakdown. People are more stoic and resilient than you think, especially in certain cultures. The UK is an entire culture founded on not showing your emotions, so if you’re writing a Brit, you have to think about how that changes how they will react. Most people I know will excuse themselves rather than show emotion in front of others. So you’d never write a scene where they ball and cry in front of others, unless it’s an exceptional circumstance. A good waypoint for you is episode 6 of Twin Peaks: The Return. Watch that and see how Lynch handles a scene of unimaginable pain and grief. Yes. With all my heart. I think we are all born inherently flawed and the goal of any sane person is to work on those flaws, improve them, turn them into strengths in some instances, and mitigate their negative influence as much as possible. However, some people have got this backwards and seem to spend all their waking hours developing their flaws. Not accidentally, but with wilful intent. Where you meet someone like this, you meet evil. I always remind myself, when I start to doubt evil’s existence, to just read any history book. Or turn on the news. That fixes it. All kinds of things scare me, which is, I guess, why I’m so interested in horror and want to write it. My deepest fear is hornets. I was assailed by them as a babe, and though I don’t have a clear memory of the event, the sound they make still triggers something in me. Nature is full of symbols and tools for the human mind… and I think hornets represent the reckless evil of the world. They contribute nothing, they don’t really serve a purpose, and they attack without reason. They will even risk their own lives, going out of the radius of their nests, just to sting another living being. They’re the insect equivalent of a kamikaze bomber. Even spiders and ants hate them. There’s a recurring character in some of my fiction called The Hornet King. He takes different shapes, but it’s the same force of evil. Oh yes! It’s probably one of my favourite days of the year. I’ve had some great Halloween dos, from the massive party dress-up, to nights in watching scary movies, and everything in between. Halloween is a great excuse for gaming too: Dungeons & Dragons, board games like Dark Souls, and of course those classic horror video-games you’ve always wanted to replay. There’s an amazing horror driving game called Dead End Road I recommend for you this Halloween. The Youtube channel ‘Super Best Friends Play’ also do an amazing event every Halloween called the ‘Shitstorm of Scariness’, where they play one horror game every day of October. It’s mindblowingly good. I get a lot of ideas from watching those guys.